We are privileged to have come across these beautiful animals. It is no wonder they are called "The Gentle Timewasters" as they are so much fun to be around. Alpacas make wonderful pets as they can be halter trained, are children-friendly and love eating nuts from a bucket. 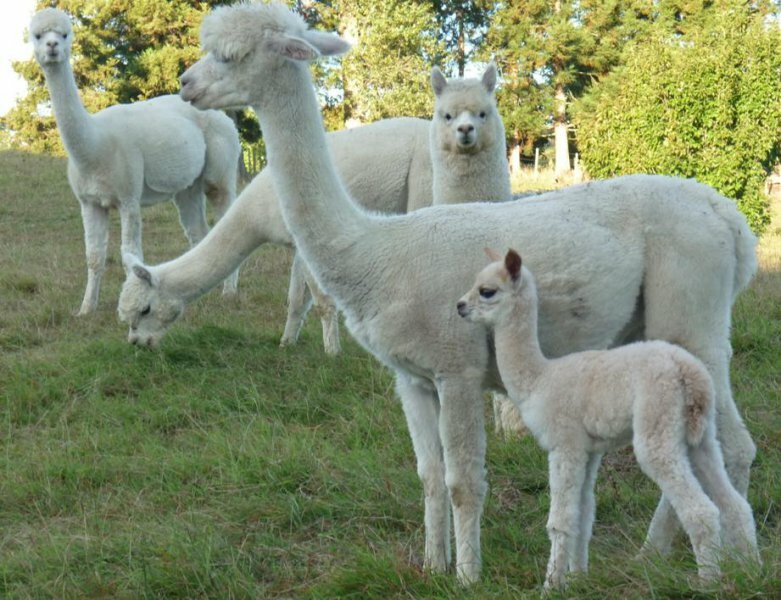 Or, you can take a more serious route and like us, buy breeding females to grow your herd, join the Alpaca Association, show them and use or sell the fibre. We presently have two male alpaca pets for sale and are open to enquiries on breeding females. We are available for advice and to help care for your alpacas. If you are considering alpacas for your farm or lifestyle block, please give us a call on 548 1359 or email riverlea@harrison.gen.nz and we look forward to talking further with you and showing you these beautiful animals up close. Dont forget National Alpaca Day each year in early May, a fun day out for the family. When we are not with the alpacas, we can be found tending to the olive grove. Our olive oil is carefully produced from the initial deliberate choice of tree varieties, hand-picked harvesting, professional cold pressing & bottling in a certified local press and presentation in a dark bottle to preserve shelf life and quality. We use the olive oil on salads and in all aspects of cooking. At $25 a bottle, the olive oil makes a wonderful gift or a great item for your own pantry and we are happy to deliver free within the Tauranga area. Please contact us to enquire or order. 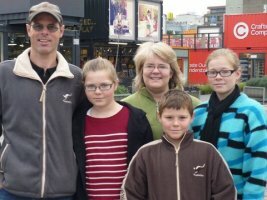 As the Tauranga Harrisons grow older, we continue to embrace new opportunities and challenges for the children with activities and schooling. Our lives are full of music, dance, soccer and NCEA. We feel very fortunate to be on the lifestyle block and enjoy the space and also the other animals; the chickens, highland cow, horse and a variety of wild birds including lorikeets, doves and we even had a peacock visit for a short while. 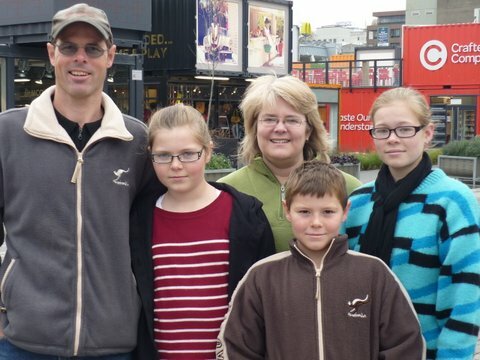 Shane continues to mow lawns with Crewcut, providing a quality service and is happy to quote on any Tauranga lawn. Michelle provides business coaching and accounting services and can be contracted in short-term projects alongside her existing clients.